“At its peak in mid-summer the project employed about 200 individuals, Wagner said. But that number has declined, and will continue to drop off as the project nears commissioning. “Wagner acknowledged that Constellation had anticipated a high level of statewide interest in and scrutiny of the project, because it was effectively blazing a new trail in Maryland energy production. This is a pretty interesting article in Wired by Alexis Madrigal about how laser guidance technology for wind turbines shows promise to increase their efficiency. Notable excerpts are below. “A new laser system that can be mounted on wind turbines allows them to prepare for the wind rushing toward their blades. The lasers act like sonar for the wind, bouncing off microscopically small particulates and back to a fiber optic detector. That data is fed to an on-board processor that generates a three-dimensional view of the wind speed and direction. Subtle adjustments in the turbine blade’s angle to the window allows it to capture more energy and protect itself in case of strong gusts. “Current wind turbines rely on wind-measuring instruments known as anemometers that are mounted to the back of the turbine’s gear-housing unit, called a nacelle. The data from the wind is fed to a computer that optimizes the blades’ configuration to capture the most energy from the wind. In many cases, cup anemometers, which took their current form in the 1930s, are still used. They work well enough, but have to be positioned behind the blades, which subjects them to turbulence. And, importantly, they can only tell you how fast the wind was blowing after it passed. That doesn’t help you with a freak gust of wind or any of the odd behavior that renewable energy developers have caught the wind exhibiting. What’s noteworthy about this coalition is the support from states such as West Virginia and Oklahoma. Below is the press release, and here are the coalitions recommendations, and letters to President Obama and Congress. Iowa Governor Chet Culver and Rhode Island Governor Donald L. Carcieri today released Great Expectations: U.S. Wind Energy Development, the Governors’ Wind Energy Coalition’s 2010 Recommendations. Governor Culver and Governor Carcieri are the chair and vice chair of the 29-state organization. “The title of the governors’ recommendations could not be more apt,” said Governor Culver. “Americans have great expectations for the nation’s energy future, and these recommendations from the nation’s governors to Congress and the Administration meet those expectations,” Governor Culver said. “This is the first set of comprehensive wind energy recommendations ever submitted to Congress by a group of the nation’s governors,” said Governor Carcieri. “These recommendations could not be more timely. Congressional action on the energy bill seems to have stalled. It is our hope that these recommendations — and the national bipartisan consensus they represent — will advance the energy deliberations now under way in Congress,” Governor Carcieri stated. Adopt a Renewable Electricity Standard. Develop New Interstate Electric Transmission System Infrastructure as Needed to Provide Access to Premier Renewable Energy Resources both On-Shore and Offshore. Fully Support Coastal, Deep Water, and Offshore Wind Energy Technology and Transmission Research and Development. Streamline Permitting Processes for Both Offshore and On-Shore Wind Energy Development Projects. Expand the U.S. Department of Energy’s Work with the States and the Wind Industry to Accelerate Innovation. Extend the Treasury Department Grant Program in Lieu of the Investment Tax Credit, and Adopt a Long-Term Renewable Energy Production Tax Credit With Provisions to Broaden the Pool of Eligible Investors. The Governors’ Wind Energy Coalition provides national leadership on wind energy policy. The Coalition is a bipartisan group of 29 of the nation’s governors who are dedicated to the development of the nation’s wind energy resources to meet America’s domestic energy demands in an environmentally responsible manner — while reducing the nation’s dependence on imported energy sources and stimulating state and national economic development. Through its multi-state coordinated efforts, the Coalition is engaged in several national initiatives: encourage sound national policy and legislation for the development and distribution of wind-generated energy; communicate and demonstrate the value and benefits of wind energy to consumers, energy companies and policy makers; share state best practices in wind and renewable energy policy development; create an environment of support for those who wish to develop responsible wind energy resources; and support development of infrastructure for the expansion of wind energy across the United States. I came across this great article in the NY Times about how the political climate is now drawing wind jobs to the US. Some excerpts below. “It was a scene familiar to many a Western labor activist: manufacturing workers in a developed country protesting in vain the outsourcing of their jobs overseas. Earlier this month, workers barricaded themselves in Vestas Wind Systems’ wind turbine blade factory on Britain’s Isle of Wight to try to convince the company not to shut down the plant, dismiss 425 workers and move production to another country. Vestas is rapidly expanding its production base in the United States, where it says it has created more than 1,200 skilled jobs. The company expects that number to climb to more than 4,000 by the end of 2010, if President Obama’s Recovery and Reinvestment Plan is carried out. Vestas believes that the Obama-led push to more renewables will stimulate demand and re-establish the United States as the world’s largest market for wind turbines. It hopes Congress will pass a national renewable energy standard that will stabilize the U.S. market in the long run. Last year, Vestas opened a blade factory in Windsor, Colo., hiring 650 people. This year and the next, it will add another blade factory and a nacelle assembly factory in Windsor, as well as tower factories in Brighton and Pueblo, Colo. Vestas is also building up research and development centers in Houston and Boston. It is trying to set up a network of local suppliers of castings, metal fabrication, composites, gears, bearings and electromechanical components through its purchasing office in Chicago. “For wind turbine producers, what makes sense is building the huge machines where the demand is. Vestas’ rival Siemens is also expanding in the United States. Siemens plans to double the capacity of its factory in Fort Madison, Iowa, which was only opened in 2007. It is also building a new plant in Hutchinson, Kan., and a research and development center in Boulder, Colo. Boulder was chosen because of its proximity to institutions such as the National Center for Atmospheric Research and the Colorado Renewable Energy Collaborative, a state-funded program including Colorado State University, the Colorado School of Mines and the University of Colorado, Boulder. 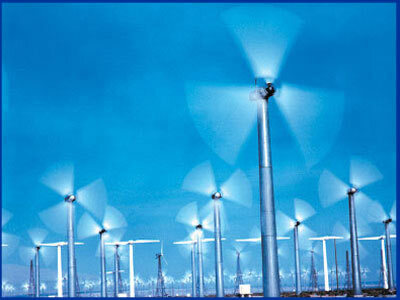 Record US Wind Power Growth in 1st Half of 2009! According to the American Wind Energy Association, as I read on SET energy and Climate Progress, we have had record wind growth so far this year. The Energy Information Administration’s projection is we’ll be at 5% wind power by 2012 based solely on the economic stimulus(right now it’s just under 2%). 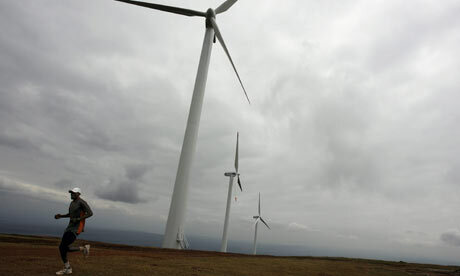 This is an article in the Guardian from Monday about how Kenya is building Africa’s largest wind farm, and one of the largest in the world. It will be 300 MW, a quarter of Kenya’s installed power! Notable excerpts below. “One of the hottest places in the world is set to become the site of Africa’s most ambitious venture in the battle against global warming. I had a column out a day early on Monday about how coal’s sun is setting in America, largely thanks to a growing environmental movement. Enjoy! The coal industry has been running commercials since the presidential election joyfully touting that coal supplies 50 percent of America’s electricity. These commercials are outdated and untrue. According to the U.S. Energy Department, coal supplies 48.9 percent of America’s electricity. I’ll show you why the details matter. Four of my closest friends are conservatives. Traditionally, support for regulating industry’s greenhouse gas emissions falls along party lines. Over the past couple years, I’ve been surprised to find three of these friends have come around to my viewpoint on this issue. Two of them lobbied with me on environmental legislation. Another referenced a column of mine in a college essay on why America needs to transition to a clean energy economy to avoid catastrophic climate change. And if I was referenced in a paper, the world really is in jeopardy. I arrogantly assumed this shift was limited to my friends because my crazy environmentalism had rubbed off on them (and because I can blackmail them). But a snapshot from a recent poll suggests otherwise. Eighty-five percent of Democrats, 80 percent of Americans under 30 and 64 percent of Republicans support government regulation of greenhouse gases. A seemingly controversial issue is not even a close one. The most incredible number is almost two out of every three Republicans want regulation. I frequently tune into Fox News ,where commentators and news desk make it appear the planet is cooling and regulating emissions will wreck the economy. It hasn’t worked. This has been reflected in our energy policy. 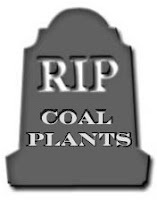 About 200 coal plants have been proposed since 2000. Since 2007, 95 of these proposals have been canceled or postponed, and nearly all of the remaining proposals are on hold. Most of this took place during a coal-happy Bush presidency. It’s not getting any prettier. In contrast, wind power grew by more than 8.5 gigawatts in 2008 and solar more than 1.2 GW – record growth during a contracting economy. The wind industry now has more jobs than the coal mining industry. For the first time in forever, the environmental movement is winning in the United States.Students at universities all around the country, including students at this one, have been on the forefront. I remember two years ago when an outgoing state senator and the director of an environmental nonprofit group came to the university to talk to 50 students about global warming. They said that some day, the state would pass a global warming bill. It seemed far off. This semester, students played a role in passing one of the strongest global warming bills in the nation right here in Maryland. Today, House Majority Leader Steny Hoyer (D-Md.) will come to the university before hundreds of people for a clean energy town hall meeting. Part of the discussion will be about when the United States will pass a strong global warming bill. I see the paradigm shift in only two years. The details matter. They tell a different story than the commercials. The coal industry is trying to outrun the facts, but they are catching up quickly. We are witnessing the death of coal. A word for the coal industry: Coal might supply ALMOST 50 percent of America’s electricity, but your years are numbered. You are approaching zero. *Update 5/14/09* Here is an excellent op-ed largely supporting the % numbers and conclusion I write about above. **Update 7/20/09** It’s now DOWN to 46.1 percent!. **Update 8/19/09** Down to 42.6%! So I had a column out day about an issue on our campus where the last remaining Native American coures are being but because of lack of funding. I also talk about energy issues. Enjoy! A Facebook message asked me to sign a petition demanding that officials re-instate two Native American studies classes the university won’t teach next semester. And I started thinking, is there a more neglected and forgotten minority in the United States today than Native Americans? Counting American Indians and Alaska natives, the 2007 U.S. Census puts the population at about 0.8 percent of the United States, which is still millions of people. And according to the 2000 U.S. Census, about half a million reside on reservations. The economic opportunities on these reservations are scarce, and there is tremendous hardship. Unemployment rates are more than 50 percent, along with the highest rate of poverty in the nation. The result is, for practically every measurable social statistic, the Native American population ranks at the bottom. Anyone who reads my columns knows I tie everything and anything into energy and environmental issues. No need to hesitate here. Native American reservations contain large quantities of natural resources, including energy. 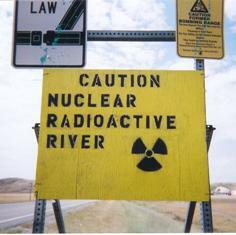 There is little to no access or control over as to how they are used – 65 percent of North America’s uranium lies on these reservations, as is 80 percent of all the uranium mining and 100 percent of all the uranium processing in the country. The result has been high rates of cancer, respiratory ailments, miscarriages and birth defects. The water and soil are loaded with lead, radium, thorium and other toxins. People who work in the mines rarely receive clothing, protection, medical evaluation or compensation. There is almost no wealth to show for this exploitation, and our tax dollars subsidize it daily through our funding of uneconomical nuclear power. There is an ironic twist, though. Throughout history, as Native Americans were thrown off their land and sectioned off in reservations, we thought we were giving them land no one really wanted – land in the Midwest, where the sun was brightest and the wind strongest. We’re now in a time where we desperately need to increase renewable energy production to help address environmental, national security and economic problems, and the solar energy potential on tribal lands is 4.5 times the annual U.S. electric generation. The reservations on the Great Plains have a windpower potential that tops 300 gigawatts, half our annual electric generation. Everyone wins with a clean energy economy, but I can’t think of a group in this country who would benefit more than Native Americans. This would explain why I’ve been seeing and hearing a lot more of groups like the Indigenous Environmental Network. A good climate bill, a green energy bill and a new electric grid only benefit indigenous people if they are involved in the legislative process. We can’t abuse their renewable resources like we’ve abused their traditional resources. They need to be a partner, not a tool. The less we understand about their culture and history, the harder this will be. We’re headed in the right direction on energy. I have a hunch. In a few decades, it will be as impossible for the university to abolish Native American courses as African American or women’s studies – lack of funding be damned. For now, they can get away with it. Or can they? Consider this my petition signature. It’s a shame that after a couple of posts involving businesses making the right decisions in the renewable energy market and taking action on climate change, I end up having to break the news that Shell has eliminated all investment in renewables besides biodiesel. It’s not as though Shell was doing very much anyways, they have invested 1.7 billion dollars over the past 5 years in renewables. In comparison, they spend 32 billion total on investments in 2008 alone. Still, this is a sign that Shell is moving in the opposite direction of a lot of businesses and corporations. While we’re seeing an increase in renewable energy output and investment amongst companies, Shell is taking theirs away. Obviously I’m not one of the “experts” in Shell making these kinds of multi-billion dollar decisions, but I have to wonder what is going through their minds. Let’s assume the obvious, which is that Shell has no moral conscience at all when it comes to climate change or environmental protection. Their bottom line is more important than the public good. I got it, they’re a business. Unfortunately expecting a moral conscience of some corporations is expecting too much. But even if you’re only thinking of your bottom line, how do you come to this conclusion that not only will we not invest much money in renewables, but we won’t invest ANYTHING. I can see how this would’ve been a good move in 2000 when we had oilmen coming into the Whitehouse. There were lots of calls for increased drilling, removal of environmental protections, and no action on climate change. At this point, putting all the eggs in the oil basket might make sense. But let’s look at what the state of things are now with the next 8 years in mind, as opposed to the last 8 years. We’ve got an anti-drilling Democratically controlled Congress and Whitehouse. Environmental regulations are going to be popping up all over the place. If you look at the stimulus, the overwhelming majority of the money relating to energy was clean energy. There was also a record amount of money invested in mass transit. Whatever tax breaks the oil companies got during the last 8 years are likely going to be removed. There are now new and far reaching tax breaks at the Federal level for solar, wind, geothermal, biodiesel, and plug-in hybrid-electric cars. These kinds of credits are also showing up all over the states. My own state of Maryland has a 10k credit for solar, similar incentives for other alternatives, and my county Prince Georges County has a 5,000 dollar property tax credit. General Motors and Toyota are coming out with plug-in hybrids within the next few years. Other auto companies are taking a stronger look at it them, and are introducing more hybrids. Oh, and the US and other countries around the world either have passed or are about to pass climate change cap and trade policy that will inevitably drive up the price of gas and decrease consumption. I could go on. Hopefully you get the point. What are you thinking Shell? The problem I see with this when you’re purely looking at a bottom line is that the trends are moving in the opposite direction of Shell’s actions. It’s not smart investment to put none of the $$$ into renewables when you consider the trends I listed above. I predict that Shell is going to find itself at a big competitive disadvantage a few years from now when they suddenly realize they “want in” on this clean energy economy, but other companies beat them to the investment, research, and start-up and have achieved greater economies of scale and efficiency. At this point, entry into the clean energy market will hurt Shell, and they will look back on their decision in 2009 to cease renewable energy investment as poor planning. I’ve wanted to make a post about this since it was in the news last Thursday, but it slipped to the back of my mind. The Washington Post had an article about how in Maryland it’s now cheaper on the electric bill for residents to buy renewable wind energy credits through the Rockville-based Clean Currents than it would be to just buy power through BG&E and Pepco. This means if you’re in Maryland, you can lower your utility rates and take a significant step to greening your lifestyle at the same time. Usually, being part of the Clean Currents Program costs ratepayers a little bit more, but the current economic climate has created different conditions. The article also talked about a family in Maryland who set up their own wind turbine to power their home in Charles County, where the wind is strong. I’m hopeful this is a trend towards renewables that we’ll be seeing across Maryland and the United States. One other recent signal that the winds of change are upon us is that there are now more wind jobs than coal. For now, if you live in Maryland, there’s no excuse to not google Clean Currents right now and consider entering into a 2 year contract with them. You can save money, and less your impact on the environment at the same time.